What does assisted living in Southern, NJ mean to you and your loved one? mind that they are receiving complete care in a supervised & comfortable community. The State of New Jersey offers both Assisted Living Communities and Assisted Living Programs . 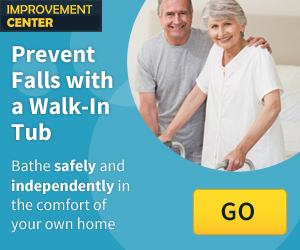 Assisted Living Communities in New Jersey are licensed by the Department of Health. These Residences provide a home-like atmosphere, supervision of medication needs and assistance in receiving health services. Assisted Living Programs in New Jersey provide care and services in seniors residential apartments, and is available in some subsidized senior housing buildings. ALPs offer seniors care management, health monitoring and some skilled nursing care. The ALPs helps elders age in place, as their need for specialized care increases. In the 1990’s assisted living as it exists today begun as an elder care alternative. These communities are for more active seniors who are unable to live independently, and do not have significant medical needs that need treatment by a Nursing home staff. These providers help seniors with the activities of day to day living. Living in a Assisted Living Facility can be described as a comfortable atmosphere that encourages independence for as long as possible, while assuring safety. Other states may use similar terms to describe an assisted Living facility, such as congregate care, personal care and residential care facilities. See below below or click here for a list of the Assisted Living providers in Southern New Jersey that may be the right fit for you and your family. Assisted living providers in Southern New Jersey vary in size. These communities provide small residential home settings as well as grand communities, most offering the same personalized care services for your loved one. Southern New Jersey is a multitude of counties located on the southern region of New Jersey. Southern New Jersey is made up of 5 counties: Burlington County, Camden County, Cumberland County, Gloucester County and Salem County. Cities within Southern New Jersey include Browns Mills, Camden, Maple Shade, Vineland and Washington Township. Southern New Jersey hosts sites such as Battleship New Jersey, Camden aquarium and Campbell’s Field. Southern New Jersey will certainly fulfill many of you and your loved ones needs.